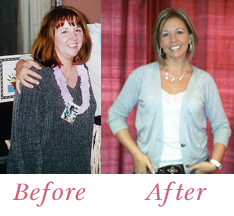 In the photo below is Annie, a phenomenal Weight Watchers Leader in California. She lost 40 pounds in 1990 and has been helping others do the same ever since!! Thanks, for letting me visit your meeting Annie!!! This week at Weight Watchers we are talking about setting summer goals. This topic couldn’t come at a better time for me, personally. As some of you know, my husband accepted a phenomenal new job…..woohooo for him….that requires him to live in California….boohoo for me!! It’s a terrific opportunity our for him and I’m thrilled, but I’m staying in Illinois, so it will be a quite a change for our family. Chase, our son, is going to start his senior year at Kaneland High School in the fall and I have my real estate business and Weight Watchers meetings here, along with almost of our family, so it makes the most sense for us to stay in Illinois and Darin to commute back home as often as possible. Change can be hard and there is a lot that goes into a transition like this…finding him a place to live, getting him moved in, taking on most of the responsibilities around our home without him and the worry about missing him a great deal. All of it adds up to a form of stress and I’m sad to say, for me, still translates into overeating if I’m not careful. By the time you’re reading this post, I’ll be back in Illinois and leading my Thursday 530pm meeting in Geneva TONIGHT and Schaumburg 10am meeting on Tuesdays, as usual. I spent last week driving with Darin to California and getting him situated. On Monday, he started his first day of work and I headed straight to the closest Weight Watchers Store for a meeting. I hestated to go at first….so many reasons not to go …had to take an Uber because he took his car to work, I didn’t know where I was going, I didn’t know anyone, I felt fat from the 30 hour road trip and lots of eating out….blah, blah, blah. In the end, I made myself go to the meeting and what do think I’m going to say next??? It was the BEST decision I could have made!!! I left the meeting not only feeling cared for and not alone but I also had an action plan…or the beginning of one…on how I want this summer to go. My day to day, week to week will be different with Darin living in CA and I want to make the most of my own time to take care of myself. I don’t want continue on this path of eating out of stress or fear of the unknown and the best way to keep that from happening is to set a couple of small, manageable goals that will put me back in control of my eating. I know what to do….we all do…..but having a group of supportive, like minded people on a similar path helped to put me back on track and determine what those steps look like for me at this point in my journey. Food has no power. We hold the power. I needed a Weight Watchers meeting 2000 miles away from my home to remind me of this fact. And there it was!! I just had to reach out and take the step to go. How awesome is it that I got what I needed from such caring strangers who I now consider friends??? I. Am. Blessed. And so are you. 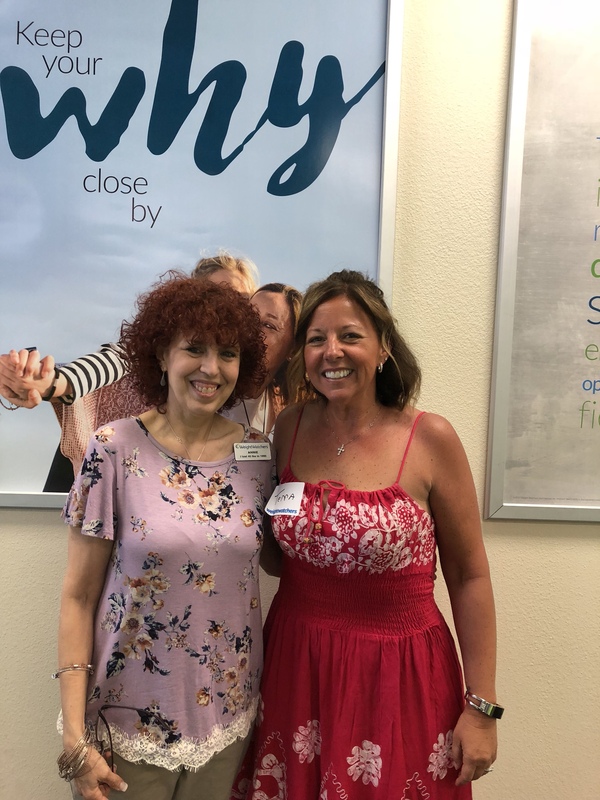 If you want to start this summer off moving in a healthier, happier direction, join me in Geneva at the Weight Watchers store at 530pm tonight, Thursday, and let’s create a customized action plan for YOU. Nothing tastes as good as Healthy and in Control feels!!! Let’s help each other get there this summer!!! Reach out if I can help in anyway! All of my contact info is below or post a comment here, on my site and I’ll respond. Don’t let anything get in the way of feeling your best…especially fear. When you’re feeling good, it will positively affect everyone around you. Don’t hesitate……”Just Do It”!!!!!! I promise you’ll be glad you did!! I sure am!! Do Snow Storms Make You Hungry? Some Days You Just Have To Be Tough! Great blog posting! Good luck on your summer journey. Thank you, Marybeth! So good to hear from you! Thanks for sharing your thoughts and actions! This was just what I needed to hear now. Great blog and oh so true! I needed that this morning. Glad to hear the program works 2000 miles away from home. It sure does, Lynne!!! Hope to see you tonight! Thanks for the comment! Glad I read your post. I am here at Wendy’s eating lunch thinking how I have to get back to WW. I have gained 10 pounds since my last weigh in 4 weeks ago. My health is not good right now with this weight gain. I know I need to loose weight and WW will do it but I struggle to stay on the plan I go to Saturday morning in north aurora and Jen is a great leader and so are you Tera how can I help myself reaching out for help. So nice to read about other people’s lives and the stress that comes with change. Life can be hard and eating is always there to “help” us get through. Your post couldn’t have come at a better time in my life! Thank you!! Thank you Terra. I have had a bad past 2 weeks and was thinking about not comming tonight. I am definitely coming after reading your post! I now feel more confident and like its easier to get back on track. Way to go, Patty! 17 pounds down is amazing! Very good advice….if the trigger foods aren’t in the house, we can’t overeat them. I find in situations out of our control, the one thing we can control is our own behaviors. It feels good to exercise control over food and be forced to deal with emotions head on rather than hiding from them with food. Thanks for reaching out!